Can the TARDIS Take Manhattan? 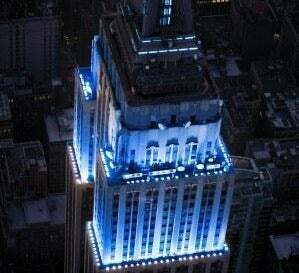 The group NY SciFi & Fantasy is attempting to convince the Empire State Building to light up blue on November 23rd for the 50th Anniversary of Doctor Who. You can sign their petition here and watch this YouTube video they made. It seems like the least that New York City could do after that whole messy business with the Statue of Liberty.